A microtube array membrane (MTAM) encapsulated live fermenting staphylococcus epidermidis as a skin probiotic patch against Cutibacterium acnes. Tranexamic acid ameliorates rosacea symptoms through regulating immune response and angiogenesis. Treatment of acne with a combination of propolis, tea tree oil, and aloe vera compared to erythromycin cream: Two double-blind investigations. New study to assess treatments for antibiotic-resistant skin infections. Microneedling by dermapen and glycolic acid peel for the treatment of acne scars: Comparative study. Association between market competition and prices of generic topical dermatology drugs. BPX-01 minocycline topical gel shows promise for the treatment of moderate-to-severe inflammatory acne vulgaris. Metabolic Syndrome in Dermatology: Treatment and Management for Dermatologists. Dermatology today and tomorrow: From symptom control to targeted therapy. A 12-Year Experience of Hidradenitis Suppurativa Management. New concepts, concerns, and creations in acne. Interventions for rosacea based on the phenotype approach: An updated systematic review including GRADE assessments. British Association of Dermatologists guidelines for the management of hidradenitis suppurativa (acne inversa) 2018. Hidradenitis suppurativa: A systematic review integrating inflammatory pathways into a cohesive pathogenic model. A brief compendium of some long-forgotten remedies for dermatology. Is it time to drop the one-size-fits-all approach and consider remedies of the past? 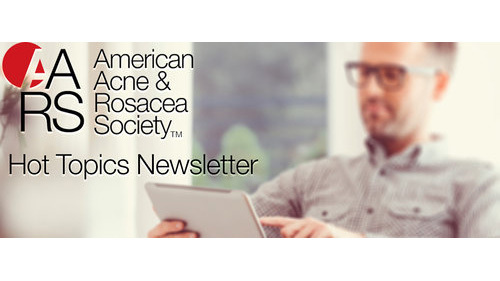 Rosacea update: New findings on risks and impact. Understanding rosacea risk factors can allow for earlier, more effective treatment. Acne and scarring: Facing the issue to optimize outcomes. Evaluation, prevention, and management of acne scars: Issues, strategies, and enhanced outcomes. Micromanagement: Microparticles enhance outcomes of energy-based acne care. With recent FDA-clearance, microparticles are available to support Nd:YAG based treatment of inflammatory acne. Retinoids in acne management: Review of current understanding, future considerations, and focus on topical treatments.